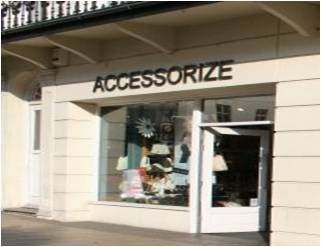 Accessorize has every kind of funky, stylish and always on-trend accessory imaginable. The constantly changing range includes bags, purses, jewellery, belts, hats, scarves, flip flops, gloves, hair accessories and cosmetics. So if you’re looking for the perfect finishing touch to your almost perfect outfit, look no further than Accessorize.